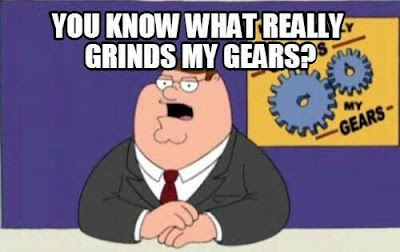 I'm going to get personal with this post and dive into my biggest pet peeve. This irritation has been a thorn in my side for years, and it has only worsened over time. I won't leave you hanging for long. I can barely contain my feelings about it in real life, let alone on this blog. That's right, today I'm going to talk about... lecterns! Especially if you need to plan an event (and especially if you are a Public Diplomacy Officer), you should know the difference so you can request the correct props from your venue for your event. If you request a podium and don't get a lectern, you're not allowed to get mad and deserve 100% of the flak. If you describe a lectern as a podium, then what do you call an actual podium? A stage? Often a podium refers to an additional raised platform on a stage, so this error has now cost everyone descriptive power. Knowledge of this crucial distinction does not at all correlate with intelligence or relevant experience. I am surprised to hear instructors and colleagues way above my pay grade make this mistake over and over again, especially at the Foreign Service Institute. Thus, I never know whether someone saying "podium" is referring to a proper podium or a lectern. If I assume they know the difference, I'm usually wrong; however, if I assume they don't know, then I'm a condescending jerk for asking. There's no particular need for language to evolve here. The word "lectern" is neither difficult nor obscure for the average English speaker, and the term "podium" - as previously discussed - is not redundant. Here's a goofy (get it? Disney!) post I've wanted to do for a while: expressing stages of the Foreign Service process through Disney music. This list may not be the most informative of my posts, but I hope it makes someone smile or laugh. 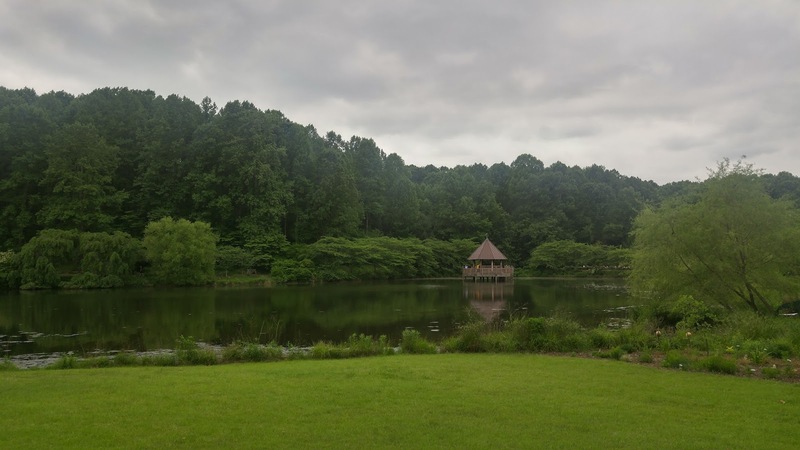 One of the hidden treasures I only recently discovered in northern Virginia is the Korean Bell Garden, part of Meadowlark Botanical Gardens. 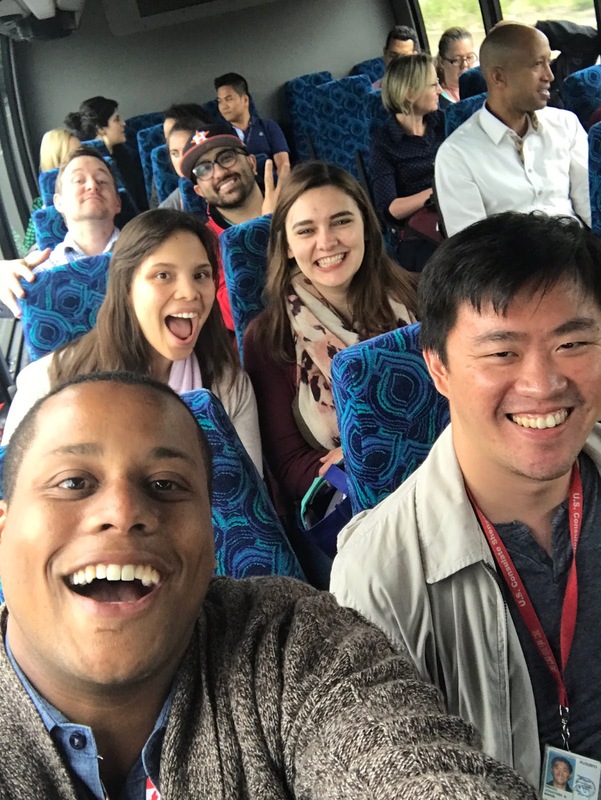 It's especially interesting to visit a place like that as a Public Diplomacy (PD) Officer for the U.S. government, because it's a great example of PD work the Republic of Korea (i.e., South Korea) is doing here in the States. The characters on the walls in the photo above, by the way, say "Korea" and "America"* (referring to the respective countries). I'm a proud Korean-American, but I have plenty to learn about my heritage. This photo above is of wall art depicting many symbols understood in Korean culture to represent longevity. 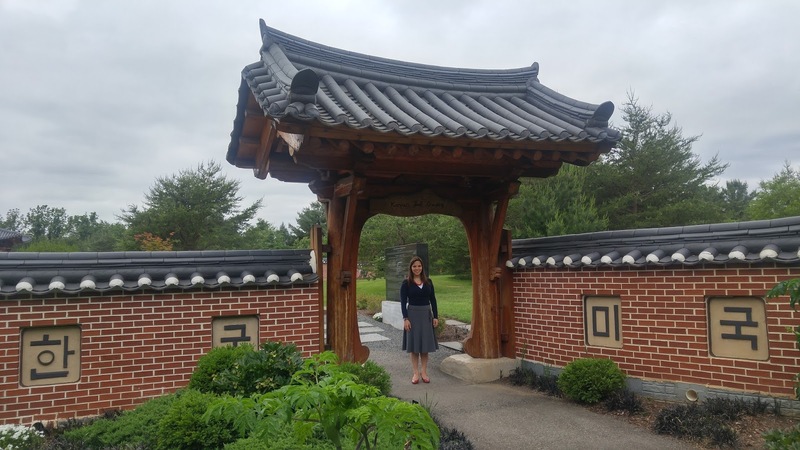 There were plenty of other points of interest in the garden in addition to what I've included here, too, from traditional totem poles to a fish pond to the eponymous traditional Korean bell. If you find yourself in northern Virginia, I highly recommend you spend an afternoon when the weather's nice at Meadowlark (or during the Christmas season when they decorate the gardens with beautiful lights). M and I have found it to make for a romantic and unique date. *Fun fact: the Korean word for "America," "miguk," is derived from a Chinese phrase that can be literally translated as "beautiful country." During training at the Foreign Service Institute (FSI), we visited the Anacostia Community Museum. Although it's a Smithsonian museum, it's located outside the main part of DC - away from the other Smithsonian institutions on the National Mall. I was struck by their "Gateways/Portales" exhibition, which focuses on Latinx* migrant and immigrant experiences in the U.S. 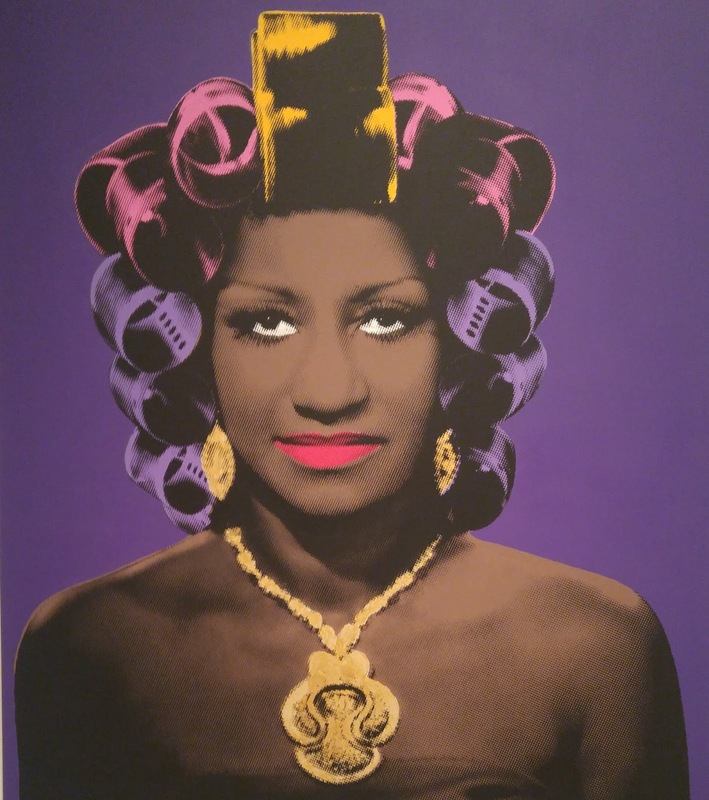 The striking artwork above highlights the Dominican hair salon culture that spread beyond New York and is extremely popular throughout the country today. There were many pieces in the museum that featured Black and darker-skinned members of the Latinx community from a range of origin countries. 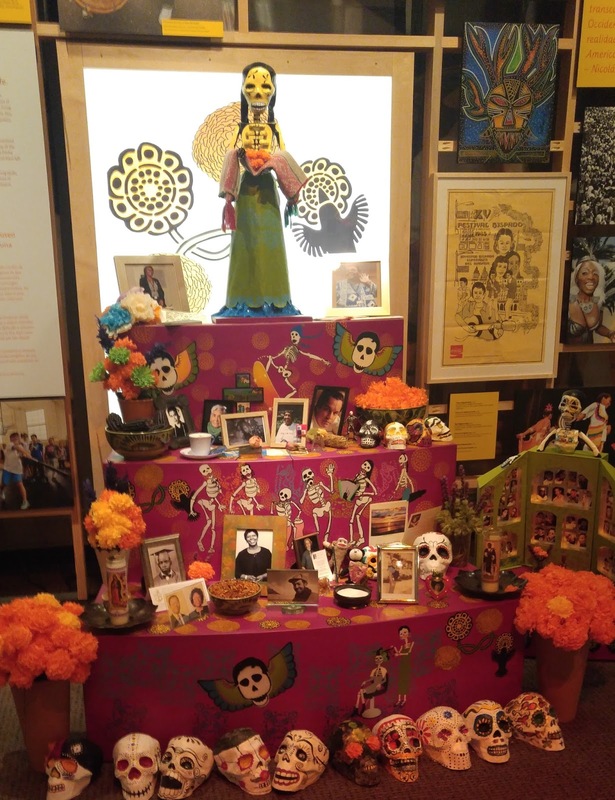 This second photo focuses on the part of the exhibit devoted to the Day of the Dead and the associated rich traditions immigrants brought with them and still practice in many parts of the U.S. I was impressed by the quality and variety of the displays despite the small size of the museum. I'm a little ashamed that I never visited the Anacostia Community Museum before in my many years of living in the D.C. metro area. 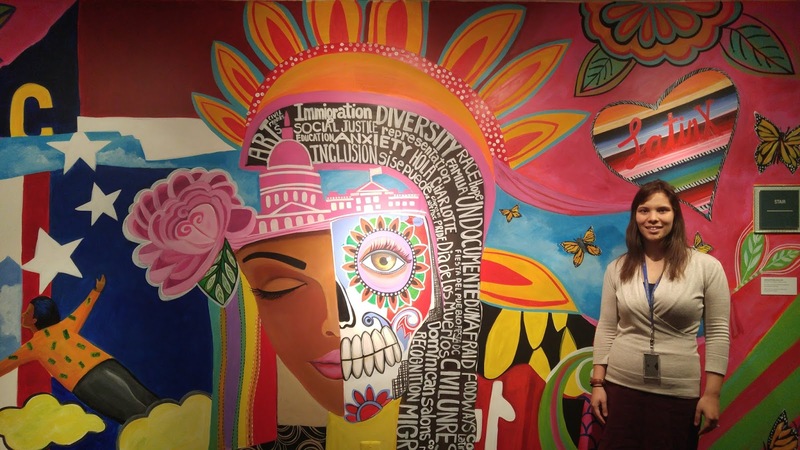 I couldn't leave without getting a picture next to this beautiful mural created by Rosalia Torres-Weiner, a self-taught, self-described "artivist" (activist + artist). This was only one of several pieces of hers housed in the museum's current exhibit. As a final note, I'll add that the whole museum was heavy on social justice and left-leaning on related issues. For instance, one of the pieces was called "Uprising Against ICE" (Immigration and Customs Enforcement) and depicted migrants suffering under the threat of deportation. There were many components praising the struggles of undocumented immigrants, but the whole presentation was fairly one-sided. I still found the trip meaningful and would recommend it, but I thought the slant worth mentioning. *Latinx is a gender-neutral term increasingly used to describe those of Latin American descent.